THIS DVD IS AVAILABLE ONLY WITH PERMISSION OF THE COURT. If you or your client believes it would be a hardship to attend a live Parent Education program, you may Motion the Court for permission to pursue the DVD option. Click here, fill out the Motion and present it to the Court. Permission is granted at the discretion of the Court. 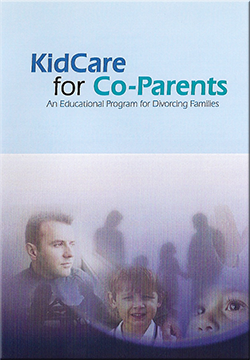 A certificate of completion will be mailed via the USPS to each participant who completes the KidCare for Co-Parents Education Course. One certificate is issued per DVD purchased as we encourage parents to keep the DVD as a resource. I affirm that I have received permission from a Massachusetts court to complete the Parent Education requirement through use of the DVD.